In a world where digital marketing has such a strong presence, it&apos;s easy to forget the potential of print, and throw it in the bin marked &apos;irrelevant&apos;. However, print still plays a vital role, and can help companies connect with their customers and clients in ways which digital media can&apos;t.
Unlike digital marketing, which is generally accessed online, and can find your audience losing focus, opening a new tab, and getting sidetracked by a video of a cat playing a banjo on Youtube, for example, print is far more capable of keeping your audience interested. Opening up a brochure or leaflet is much more of a physical commitment, and as such your audience feel more inclined to take time out and stick with it. As we’ve said before, print allows people the chance to disconnect from technology, by offering a much more tactile experience of handling and flicking through physical printed material. Communication through touch, known as haptic communication, can add a dynamic to the user experience which digital simply can&apos;t offer - such as that fresh print smell! People value the physical presence of printed material and their associations with it, making it a more preferable option for magazine and newspaper content in particular, as opposed to the alternative digital format publications on offer. Where digital media is more beneficial for quickly browsing and searching, print offers more of an experience for consuming content. Having your own brochure or leaflet can be particularly effective as it is all about you, without the potential invasion of competition, whereas online, you could be competing with other businesses displaying their digital adverts to your audience. Print isn&apos;t like digital in the sense that digital marketing, once viewed, is rarely viewed again, and often disappears over time. Print media is more solid and has a longer shelf life, once created it&apos;s there for the duration meaning people can keep hold of it, giving it a lot more value to your audience. Users also tend to mentally retain more information when consumed via print. The way in which we navigate print compared to digital media finds us using less mental resources to absorb the information. When reading a physical page, we engage with it by flipping from one page to another in chronological order, whereas with digital, we are distracted by scrolling and numerous links, which makes fluent reading difficult. Therefore the visual relationship we form with the media isn&apos;t as strong. Print media also offers a lot of versatility and isn&apos;t limited to a screen like digital media is, which can limit your audience reach, as although most people are digital-savvy these days, there are still some who don&apos;t own digital devices, and therefore are unable to access your digital media. With print, there are so many options, you can not only market using paper – brochures, leaflets, business cards, flyers, etc – but almost anything can be printed on. Stickers, badges, magnets, mugs, and more, can help promote your brand in ways that digital media definitely can&apos;t. Print media can be placed almost anywhere, giving it broader scope in everyday life. If you&apos;re looking to take advantage of print media, please don&apos;t hesitate to get in touch.Call us on: 01392 202320 or email us: hello@ashleyhouse.co.uk. We would love to help! "Ashley House have provided an excellent service .. Their attention to detail demonstrates a real passion for each job and has meant that they now feel like an extended part of our marketing team." "We choose a printing company based on quality, attention to detail, service and great value. The team at Ashley House exceed our expectations every time." "The continued success of Ashley House is down to many things; passion for quality print, excellent customer service and advice, attention to detail, but over and above is their ability to work as a team to deliver for their clients. For these reasons they are a valued supplier." "I continue to be very impressed with Ashley House’s impeccable service and attention to detail. At Nu-Heat we are rather particular about our brand colours and demand consistently high colour matching standards across all of our print product. Ashley house are a trusted extension of our team here, I can not recommend them highly enough." "We can’t recommend Ashley House too highly - they have been our printers of choice for many years now. We love the fact that they take a huge pride in the quality of their print." "Helpful Holidays have worked with Ashley House for many, many years. They produce excellent quality print combined with great service at a competitive price. They’re a printer you can rely on and we continue to do so. They’re also a pleasure to work with. Highly recommended." "Having moved our printing and design requirements to Ashley House about three years’ ago my only regret is that we did not do it sooner. Innovative and reliable with a fantastic customer service ethic." "We have been working with Ashley House for a while now and no matter what we throw at them, the result is nothing short of remarkable." "Jeff and the team at Ashley House always go out of their way to meet our challenging deadlines, delivering high quality print coupled with great service. 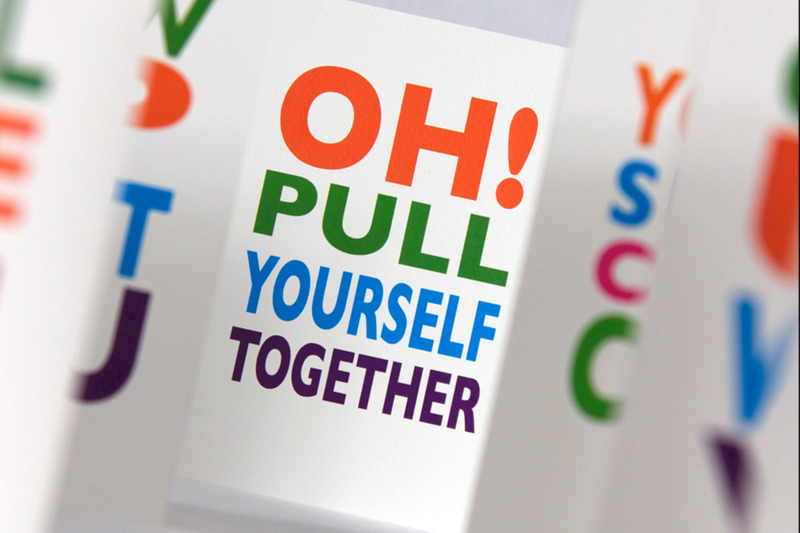 It makes a big difference feeling assured your printing will be with you for when it’s needed. Many thanks!" "We have worked with Ashley House for many years, we always return to this printing house as their attention to detail is second to none."